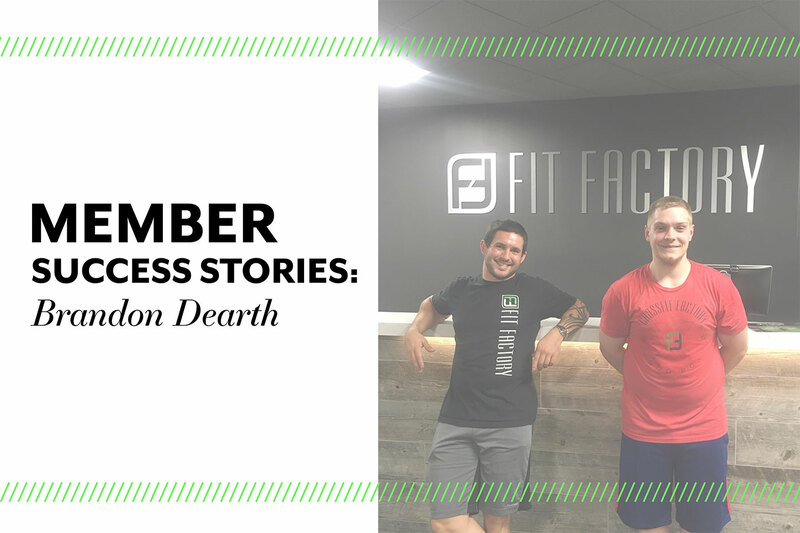 Brandon joined Fit Factory Braintree right after opening, knowing that it was time for him to take charge of his fitness goals, pursue a healthier lifestyle, and get support and accountability from a team of personal trainers and members. His fitness journey started with a free consultation with our personal training director, who helped him to set goals, get to know the gym, and develop a training schedule that would be sustainable while also being challenging. When Brandon joined Fit Factory, he knew he wanted to work with a personal trainer so that he could get individualized support and accountability for his goals: losing weight, gaining muscle, and getting fit. For him, the one-on-one support has made all the difference. With a trainer, he’s received personalized workouts, nutrition and diet advice, and monthly assessments to help him stay on track. Staying consistent with a new lifestyle is never easy, and we all deal with excuses, difficult situations, and reasons to fall back into old habits. One of Brandon’s biggest challenges came with a new job. Between moving for working and dealing with the stress of a new employment situation, he decided to take a break from Fit Factory for a while. But, pretty soon, he realized how critical the support was for his health journey. Since joining Fit Factory (twice! ), Brandon has made massive progress: he’s built muscle, shifted his habits, and stayed committed to taking care of his health—even when a full schedule and busy work-life make that difficult. Personalized Workouts. Brandon has worked with several trainers while at Fit Factory, but, with all of them, he’s appreciated the knowledge and guidance they bring to the table. They keep his workouts varied and challenging, and he’s always working towards the next milestone. A Healthy Diet. Brandon has also realized the critical role that nutrition plays in maintaining a healthy weight. He said that although it’s tough for him to cook healthy meals with his busy schedule, it was motivating to know that one of his trainers (who also happens to be named Brandon!) would ask him what he ate for breakfast, or what he was planning for dinner. Thanks for sharing your story, Brandon! We’re so thrilled for your success, and we’re glad you’re a part of the Fit Factory Family.